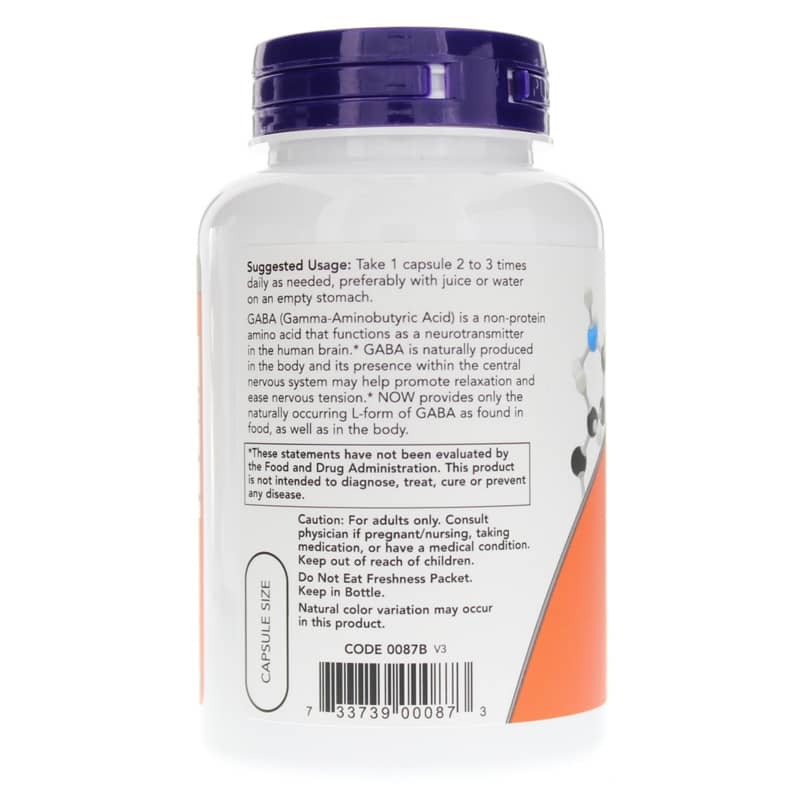 GABA with Vitamin B6 by NOW is a natural relaxation supplement that contains gamma aminobutyric acid, a non-essential amino acid found mainly in the human brain and eyes. 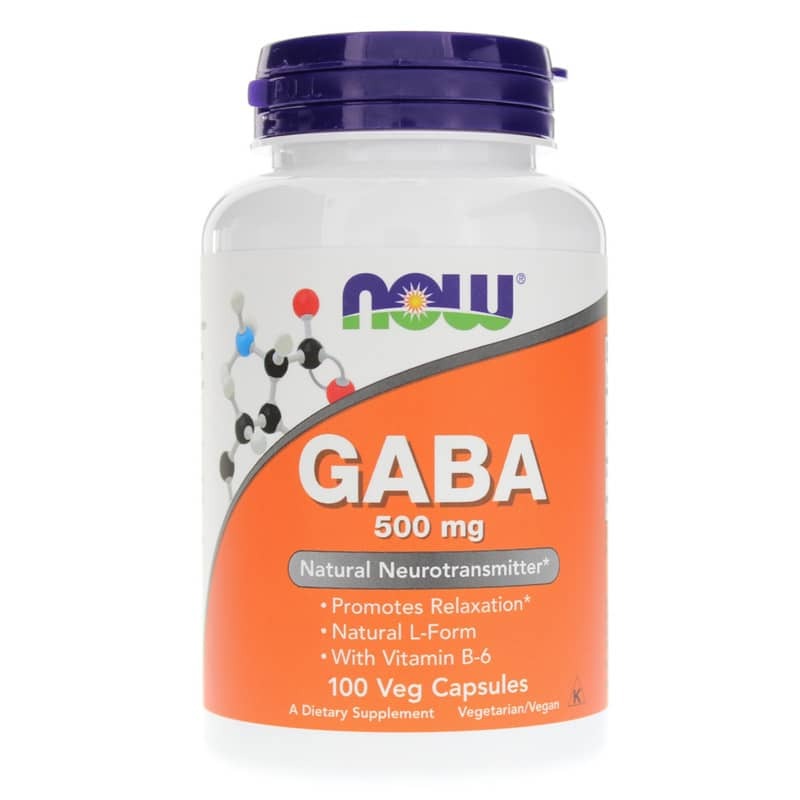 GABA is considered an inhibitory neurotransmitter, which means it regulates brain and nerve cell activity by inhibiting the number of neurons firing in the brain. GABA is referred to as the brains natural calming agent. By inhibiting over-stimulation of the brain, GABA may help promote relaxation and ease nervous tension. 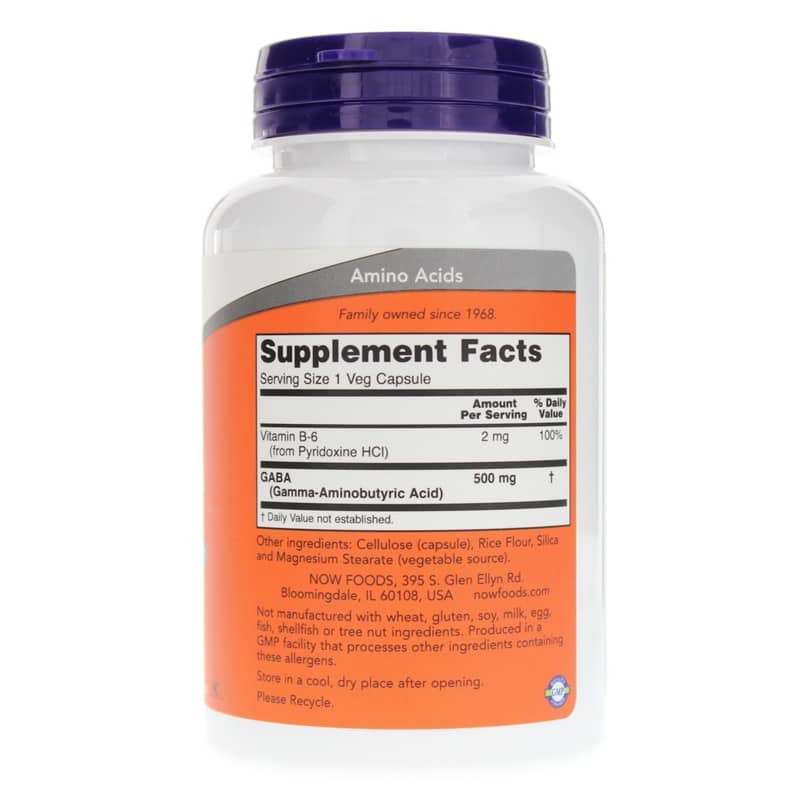 * NOW provides only the naturally occurring L-form as found in food and in the body. Not manufactured with: wheat, gluten, soy, milk, egg, fish, shellfish or tree nut ingredients. Produced in a GMP facility that processes other ingredients containing these allergens. Vegetarian/Vegan. Adults: As a dietary supplement, take 1 capsule 2 to 3 times daily as needed, preferably with juice or water on an empty stomach.